There's two lackluster thrillers due this week: "The Dark Tower," based on the best-selling book series by Stephen King. The last Gunslinger, Roland (Idris Elba), has been locked in an eternal battle with the Man in Black (Matthew McConaughey), determined to prevent him from toppling the Dark Tower, which holds the universe together. With the fate of the worlds at stake, good and evil collide in the epic battle as only Roland can defend The Dark Tower from the Man in Black ... and, in " Kidnap ," a typical afternoon in the park turns into a nightmare for single mom Karla Dyson (Halle Berry) when her son suddenly disappears. Without a cell phone and knowing she has no time to wait for police help, Karla jumps in her own car and sets off in pursuit of the kidnappers. A relentless chase ensues, where Karla must risk everything to not lose sight of her son, and where she will stop at nothing to save his life. The martial arts epic "Broken Sword Hero " (2017 -- Thailand) introduces a variety of fighting styles practiced in Thailand, including Muay Thai, and recounts the story of Thongdee, a real warrior from Thailand�s Ayutthaya period who later became a national hero for continuing to fight despite having a badly broken sword. Stars Buakaw Banchamek. On DVD, Blu-ray/DVD Combo, from Well Go USA ... In "Age of Kill " (2015), starring Martin Kemp, Patrick Bergin, Dexter Fletcher, Philip Davis, April Pearson and Nick Moran, a special ops sniper is forced to assassinate six targets in six hours on the streets of London in order to win back his kidnapped daughter from a psychotic terrorist known as �Jericho.� From Sony ... A romantic escape into nature becomes the ultimate moment of reckoning "Serpent" (2017) when a husband and wife are trapped in a tent with a deadly snake. Unable to escape and with certain death looming, the tent becomes a heated confessional to a cataclysmic truth, and the couple finds themselves spiraling into a dark and dangerous game of survival. Stars Sarah Dumont and Tom Ainsley. From Sony ... When Amy, a medical researcher with ambitions to open her own health care facility, visits a property up for sale, she begins to experience tormenting supernatural visions of a young girl who experienced a horrific death in "The Tormenting " (2017), starring Laura Mitchell, Steve Baran, Eric Schweig and Gemma Martini. Amy's life takes a turn when she begins to piece together glimpses of the girl�s last living moments, and starts to understand the spirit�s plea for help to cross over. Seeking a detective�s assistance, Amy becomes determined to seek justice for the girl�s death and bring her soul to peace -- even at the risk of being perceived as insane. From Breaking Glass Pictures ... In "The Shadow Man (aka The Man in the Shadows)" (2017), starring Sarah Jurgens and Adam Tomlinson, Rachel Darwin is pregnant, shackled, giving birth to something terrible, attended to by a dark man in a brimmed hat, a multidimensional being, a shadow that feeds upon human souls. She seeks the aid of William, who puts her under hypnosis and guides her deeper than mere dreams into astral projecting. But it is getting harder to know what is real and what is not and that includes the Hat Man. From Sony. "Person to Person " (2017), starring Michael Cera, Abbi Jacobson, Michaela Watkins and Bene Coopersmith, is an ensemble comedy that follows a variety of New York characters as they navigate personal relationships and unexpected problems over the course of one day. A record collector hustles for a big score while his heartbroken roommate tries to erase a terrible mistake, a teenager bears witness to her best friend�s new relationship, and a rookie reporter, alongside her demanding supervisor, chases the clues of a murder case involving a life-weary clock shop owner. From Magnolia Home Entertainment. 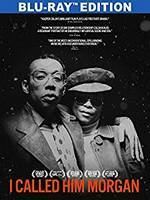 "I Called Him Morgan " (2016) is a haunting documentary film about the life of jazz great Lee Morgan and his wife, Helen, by Swedish filmmaker Kasper Collin. The film exquisitely presents the complex relationship between Lee and his wife through an exclusive interview with Helen one month before her death in 1996 and never-before-seen archival photos of Morgan within the NYC Jazz scene from the 50s through the 70s. Lee Morgan started his career playing with Dizzy Gillespie when he was just 17 years old. His age and his musical ability quickly became a buzz within the jazz community, establishing him as a child prodigy. Jazz fans would travel to see him whether he was playing with Dizzy, Art Blakey and The Messengers, or with his own band later on, The Lee Morgan Quartet. Morgan was one of the most recorded artists in the Blue Note catalog. His sound was unique and he played from his soul. But unfortunately he succumbed to an addiction with heroin that disabled his ability to play. Then he met Helen, who nursed him through his heroin addiction and made him a functioning musician again. Their life was intertwined: Helen cooked, cleaned, managed Lee�s bookings, and collected his pay. Lee did what he did best -- composed and played music. Their life together ended tragically, however. On a snowy night in February 1972, Lee was shot dead by Helen during a gig at a club in New York City. The murder sent shockwaves through the jazz community, and the memory of the event still haunts those who knew the Morgans. On DVD, Blu-ray Disc from FilmRise. "Outcast: The Complete First Season" (2017) is based on the Skybound/Image comic title by creator Robert Kirkman and artist Paul Azaceta, the series follows Kyle Barnes, a young man who has been plagued by demonic possession all his life. Now,with the help of Reverend Anderson, a country preacher with personal demons of his own, Kyle embarks on a journey to find answers to obtain a normal life he has never known. But what Kyle discovers could change his fate -- and the fate of the world -- forever. On four-disc DVD, three-disc Blu-ray. From Fox.